Starts Wednesday! Delade and I have been hard at work finishing the script and getting the first few pages ready to go. If you enjoy and want to help support Follower, please contribute to our Patreon! It’s Li’l Dia! If you’d like to peek ahead at Follower pages as they’re made, support us on Patreon! Dia discovers books. I like to imagine that after the last panel, she bashes her forehead into the “camera” like an unruly toddler and/or cat caught on video. We’ve opened up commissions for the next few weeks for a custom Chio character, which includes a cameo appearance in the comic! 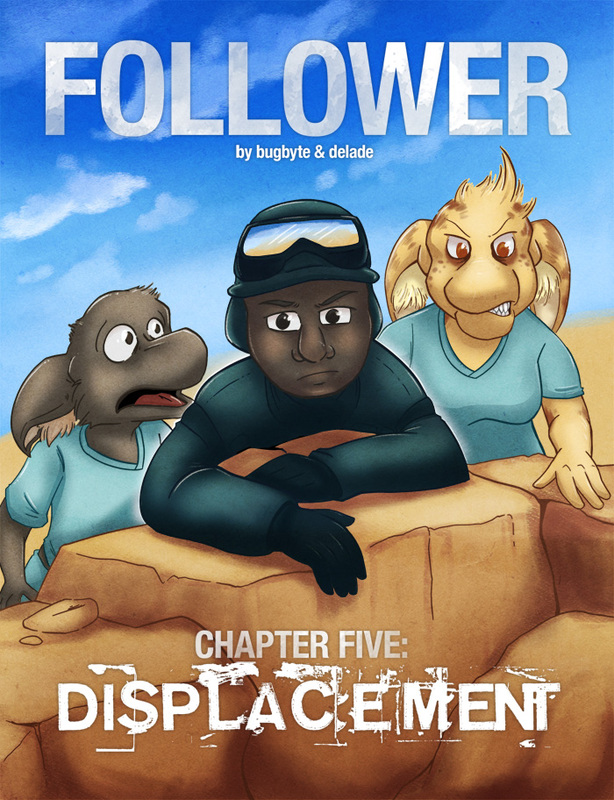 For details, please check out… Continue reading Displacement 2: Rargh!